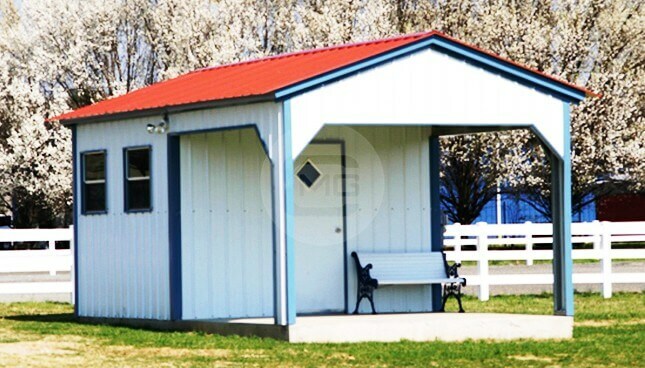 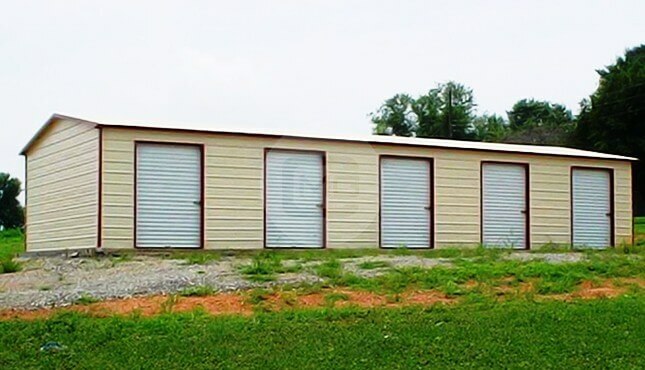 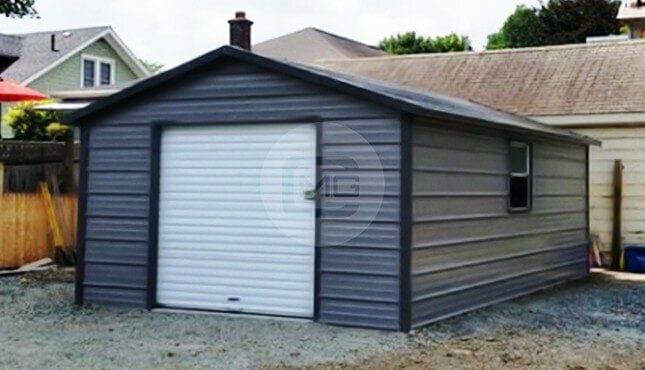 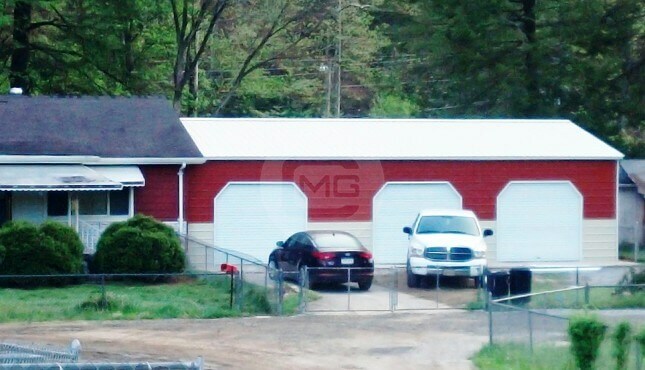 This 44x48x12′ custom metal garage is designed for a wide range of uses with multiple access points. 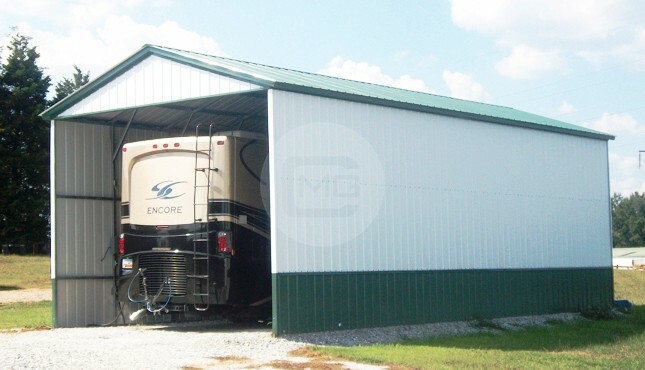 It is generously designed with six 10×10′ roll-up garage doors on the front and back ends, one 8×8′ roll-up garage door on the side and two walk-in doors. 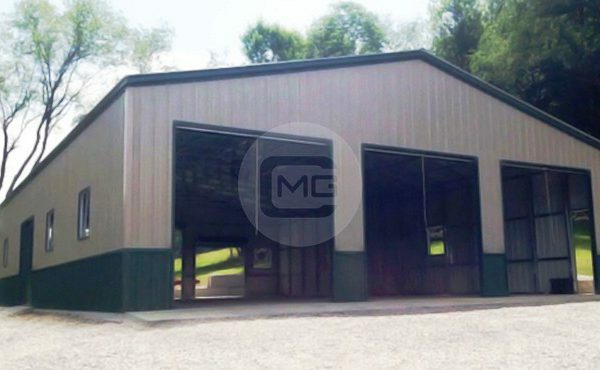 The five windows offer a generous amount of natural light. 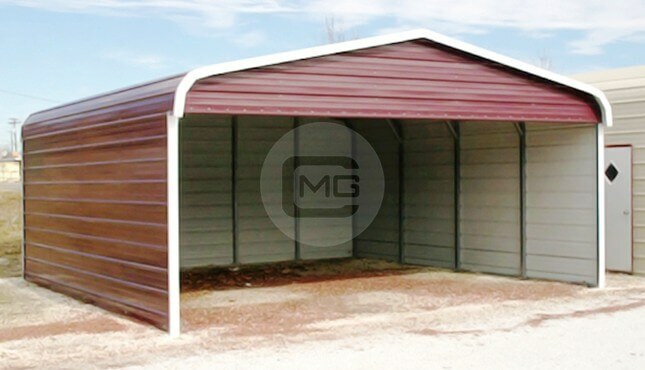 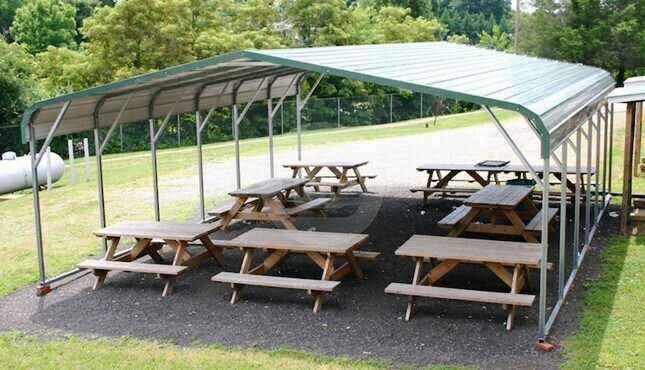 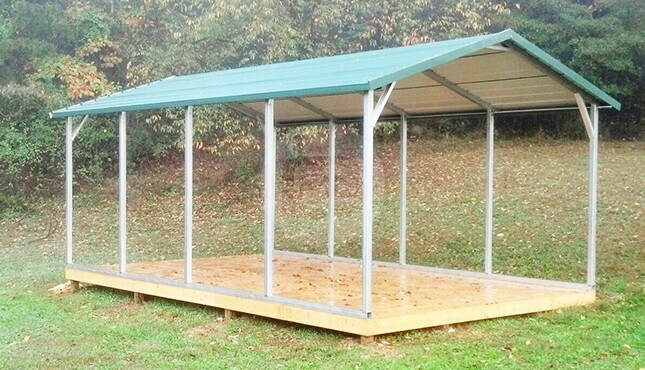 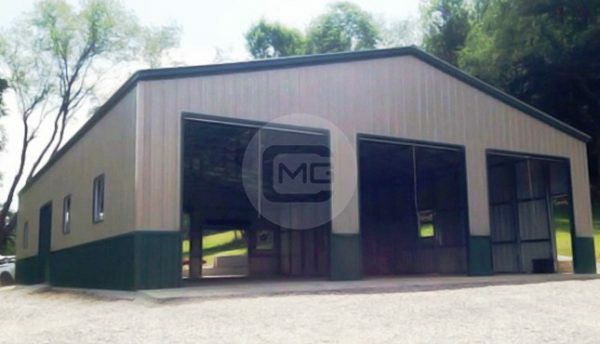 This fully enclosed steel garage is built to last with 14-gauge steel framing, vertical side panels, and a vertical roof style, which is ideal for areas that get heavy winds and precipitation.